People all over the world yearn for beautiful skin. Indians are no different. India’s obsession for a glowing and fairer skin is a worldwide known fact. With such a busy lifestyle, trying face packs, and home remedies daily is next to impossible. Using just home remedies to attain such skin might also take years. So what’s the solution? Skin care clinics come to your aid to create magic on your dull and unattractive skin. In no time, they transform your skin into a healthy, glowing and flawless one. To get the best of the treatments, Style Craze has picked a list of top 10 skin clinics in India that will be a one stop destination for all of your skin care needs. Determine Which is the Best Skin Clinic in India from this Top 10? The Kaya Skin Clinic has been a brand name not only in India but also in the Middle East and Singapore. With around 100 clinics across the country, Kaya Skin Clinic has provided its services to more than half a million satisfied customers. It specializes in personalized skin care treatments that are unique and special. A few of their renowned skin care treatments are Wrinkle Reduction, Kaya Signature Face Therapy, Skin Lightening Miracle, and Skin Glow Facials. Kosmoderma uses US-FDA technology and offers safe, effective and affordable treatments with high quality standards. This skin clinic in Bangalore undertakes personalized skin care consultation, and makes use of 3D imaging and facial analyzer to carry out treatments and other skin regimen. Some of their treatments include Brightening Treatment, Revitalizing Eye Treatment, and Oxygen Infusion Medifacial. 67 / 2, Lavelle Road, Bangalore – 560001. This South Delhi skin clinic in India is famous for its outstanding and high quality services. Pulastya Skin Clinic offers a wide range of skin-related services at logical prices. They use state-of-the-art, internationally-acclaimed technology for maintaining their higher standards. Some of their unique and beneficial treatments are Botulinum, Cryotherapy, Chemical Peeling, Conventional CO2 Laser, and Acugel Treatment. Founded in the year 2008, Ram Skin Clinic has been successful in treating patients from in and around Chennai, who suffer from any type of skin-related problems. They develop individualized treatment plan for every patient to help restore the health of their skin. They not only help adults, but also treat pediatric skin disorders. The clinic provides specialized dermatosurgical procedures like Diagnostic Biopsy, Radio Frequency, Chemical Peeling, and Mole Removal. Skin & You Clinic was founded by Dr. Geeta Oberoi and is situated at Nariman Point, Mumbai, one of the prime locations in the city. After a detailed computerized skin analysis this clinic mostly promises pain-free treatments. Their various treatments to help you get that instant makeover are Oxy Revive, Micro Pulse, Mesotherapy, and Skin Polishing (Microdermabrasion). Skin & You Clinic , 115 B Mittal Court, Nariman Point, Mumbai – 21. Established in the year 1989, VLCC is definitely one of the oldest and yet the definite way to get a beautiful and glowing skin. VLCC is known for its therapeutic approach to treatments, in order to solve skin problems. Treatments at VLCC are carried out by specialized professionals that include cosmetologists and medical doctors. Some of their cosmetological solutions are VLCC Cryogenic Treatment, Energy Morpho Lift Treatment, Meso-Vit Treatment, Botu-Vip Treatment, and Comodex. Embellish – The laser & skin clinic in Pune, offers various services and treatments related to aesthetic dermatology. The clinic customizes their treatments according to the skin requirements of each and every patient. So if you want to get rid of unwanted warts and moles or any other help to regain your lost confidence, Embellish is the place you want to go to. Some of their services are Tan removal, Warts removal, Skin tightening & body reshaping, Botox, and Fillers. Twatcha – Centre for holistic skin care, is located at Jalandhar. It is equipped with the best and the latest equipments and lasers. So, all those who thought that instant skin transformation is possible only in the big cities, do think again. Twatchas specializations are in Botulinum Toxin A, Co2 Fractional, Anti-Ageing Solutions, and Laser Genesis. Dr. Anu’s Skin,Laser & Aesthetic Clinic. 713, Model Town, Jalandhar 144003. WIZDERM Speciality Skin and Hair clinic is a venture of Palsons Derma Pvt. Ltd in Kolkata. It is a one stop solution to all your dermatological problems and caters to patients for clinical and aesthetic dermatology. Some of their modern facilities at the centre for treating various skin issues are Lumenis – Lightsheer Diode Laser, Reviderm Skin Peeler (Basic Microdermabrasion System), Aphrodite Skin Analysis System, and Lumenis Ultrapulse Fractional Co2 Laser. Kiran Dermasurge provides the highest level of medically proved cosmetological skin therapies by a team of experienced medical experts in Gurgaon and New Delhi. Individual needs are assessed prior to starting with the treatments to enhance your outer beauty in every sense. 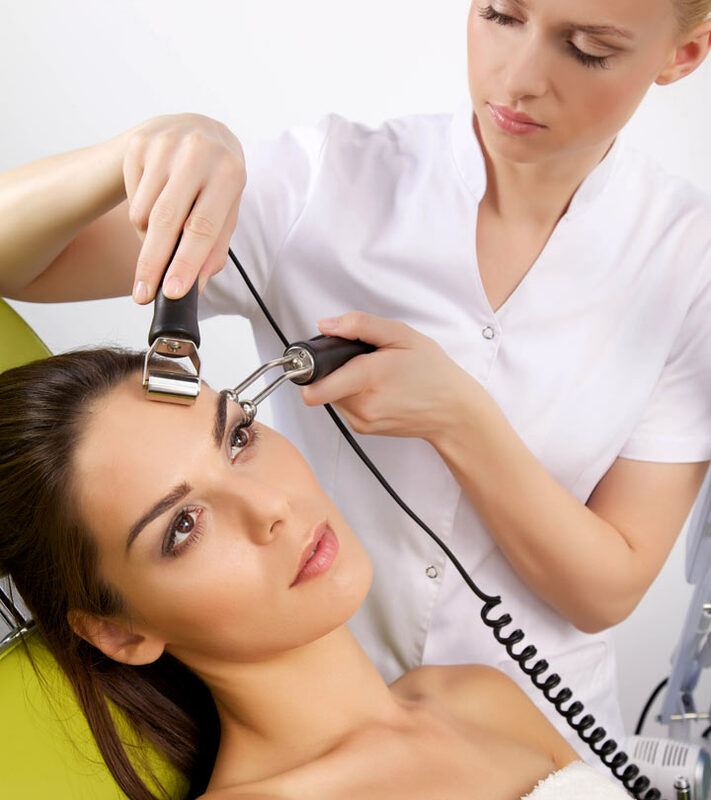 Their wide options of services are Laser Resurfacing, Face Lift, Photo Facials, and Skin Rejuvenation. Acne, scars, wrinkles, pigmentation, tan, warts or uneven skin tone are a thing of the past. Wear a glowing and healthy skin today and forever, call any one of these skin care clinics in India now. Remember, healthy skin is always in style!